I should probably preface this post with a cuteness alert!! 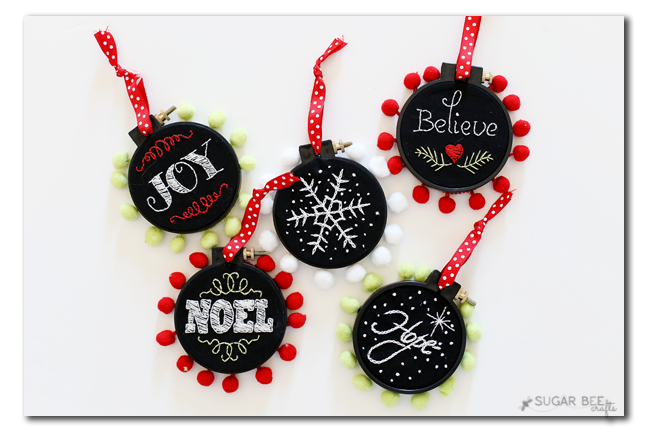 I’ve been cranking out little Mini Hoop Ornaments, and they are cute overloaded. 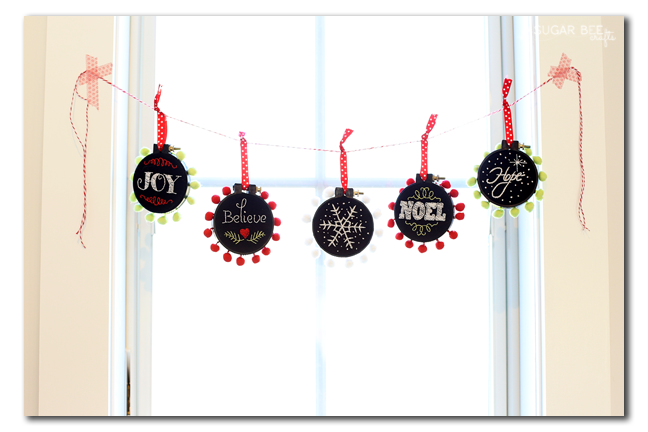 You know my love for all things easy, and all things “kit” – I am weak for kits! 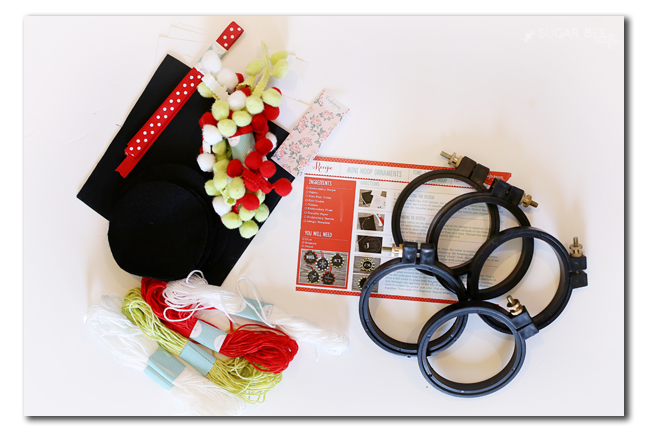 All the supplies are included and you can just jump right in to creating. 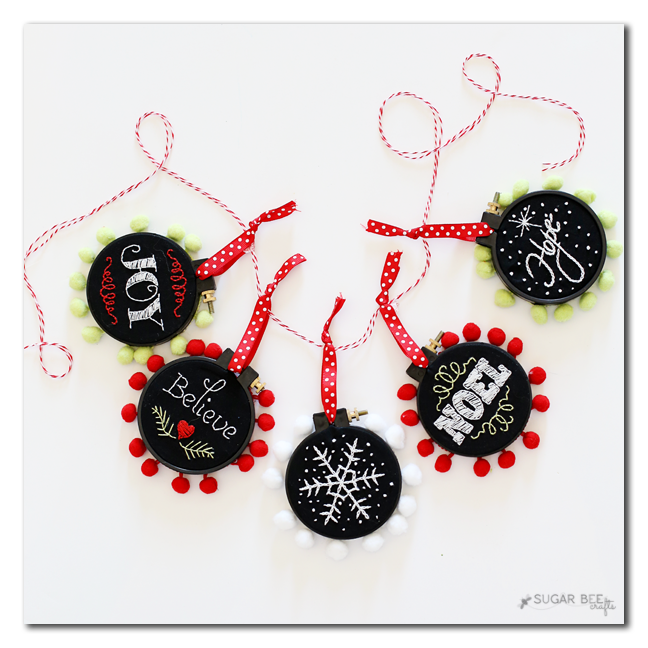 So when my friend Bev mentioned trying out her new Crafternoon kit from Hazel & Ruby, I was all over it. 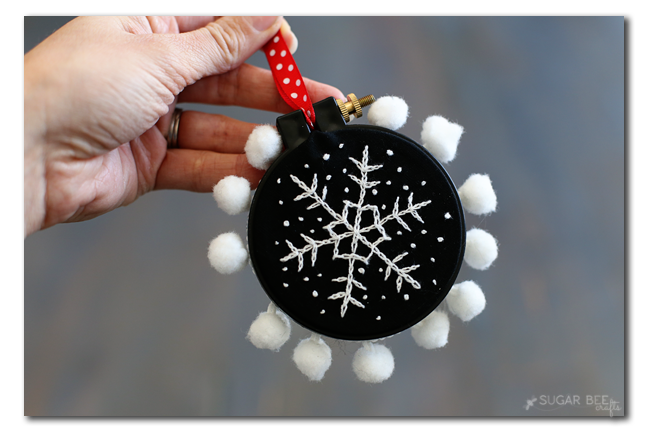 I just love that I didn’t have to hunt around for the mini hoops, or the pom pom in perfect colors, or matching thread – or even a needle! It’s all included, along with the instruction sheet to walk you through it. 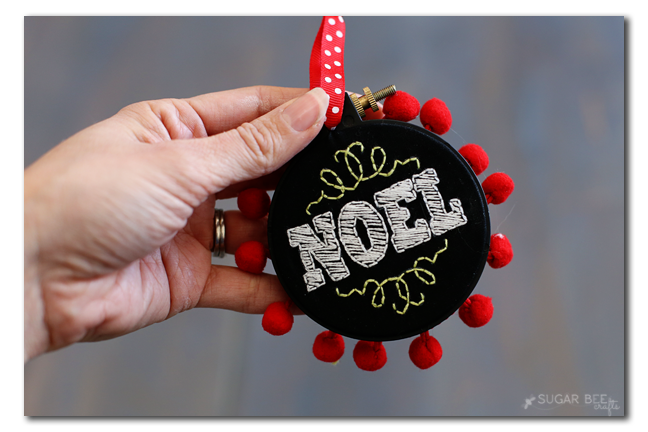 I loved the practice I got on some skills – like french knots. And I learned the chain stitch, which I’d never done before. And I even learned to how to make the stitching look like “chalkboard”, so that was awesome as well. I’m pretty smitten with how everything came out! 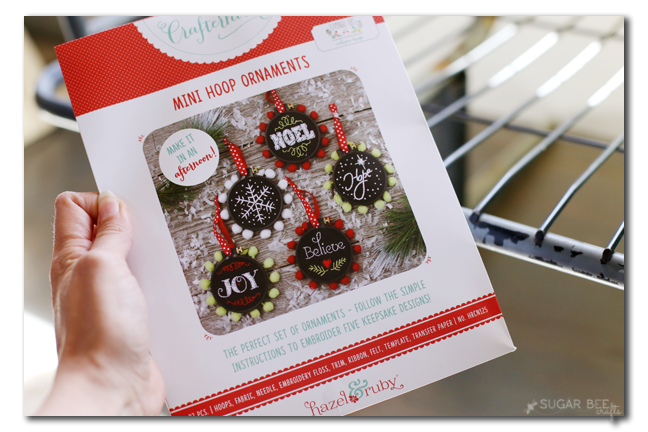 You can grab a kit for yourself online: Holiday Crafternoon Mini Hoop Kit, or at your local Joann Store. Nerf Blaster – Epic Battle with dad! Ahhhh Mandy you are the best!! 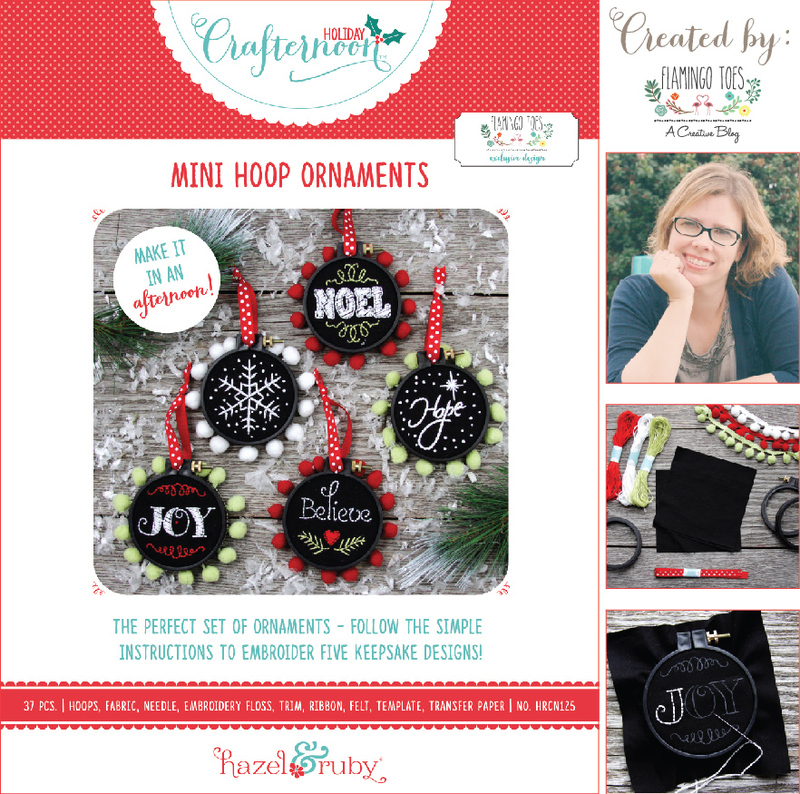 Your kits turned out so adorable – I love them so much! 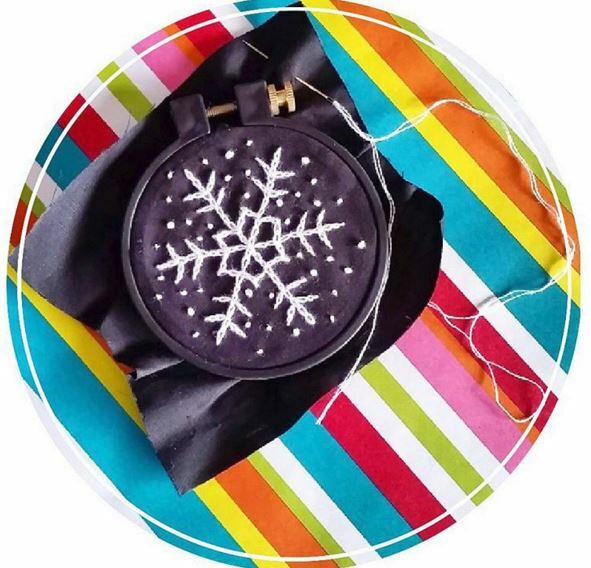 Thank you so much for posting about the kit! !